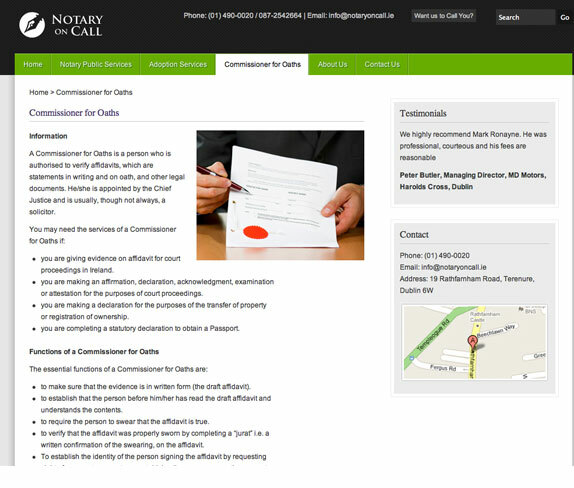 Project objectives: Mark Ronayne, Managing Partner of Ronayne Solicitors, required a contemporary Website for Notary On Call, which would provide a professional platform for their firm to market their notary and commissioner of oaths services to the public. They wanted to ensure that the content management system allowed staff to easily update and maintain the services they offer. Digital Insights produced a completely customised Content Management System that enabled the client to manage all aspects of their site. 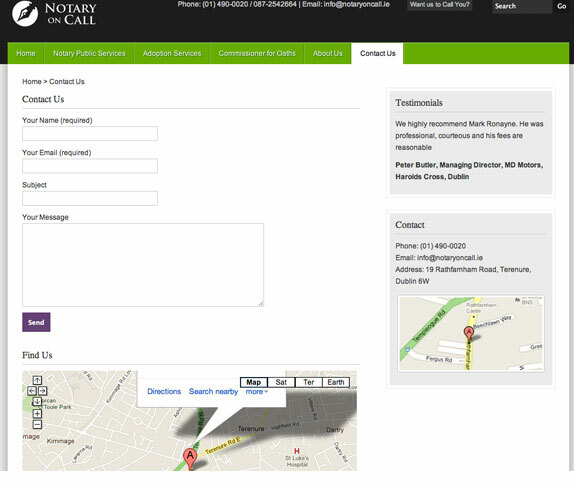 The site is Search Engine Optimised for all the key phrases that encapsulate the market. 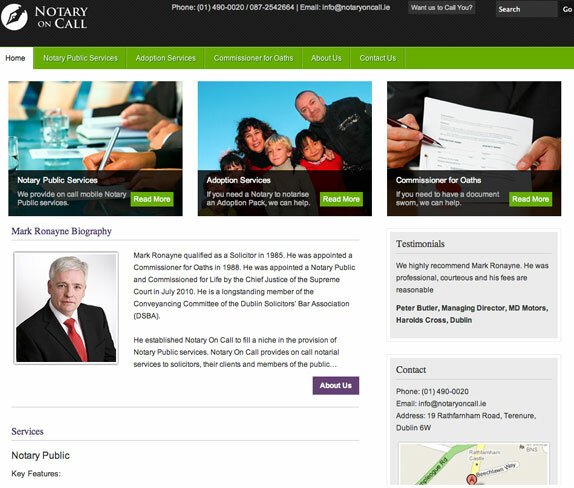 Mark is delighted with the site and it acts as a key lead generator for new business.